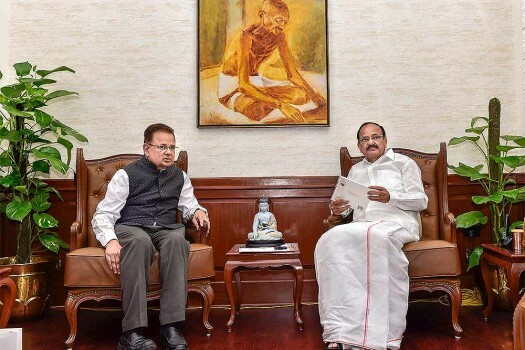 Vice President M Venkaiah Naidu and Justice Dalveer Bhandari during a meeting, in New Delhi. 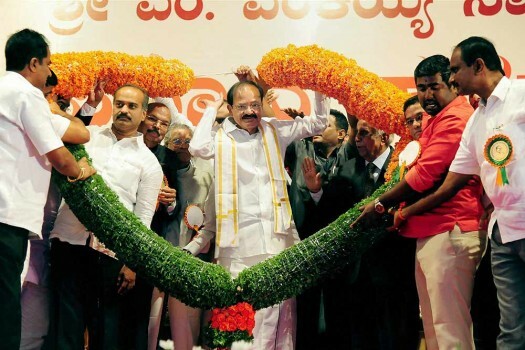 Vice President-elect M Venkaiah Naidu being felicitated at a function in Bengaluru. 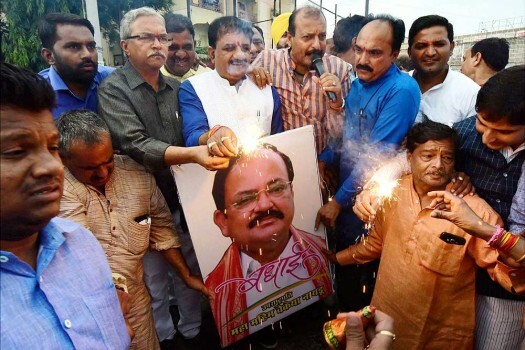 BJP workers celebrate the victory of NDA vice presidential candidate Venkaiah Naidu in Patna. 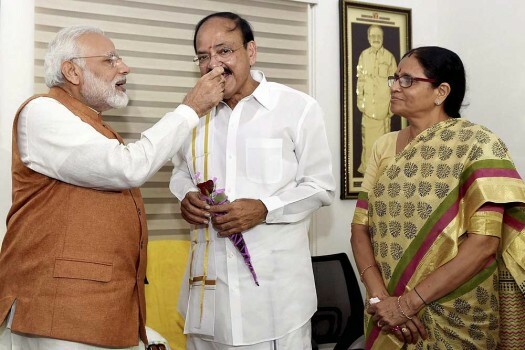 Prime Minister Narendra Modi offers sweets to Vice President elect Venkaiah Naidu at his residence in New Delhi. 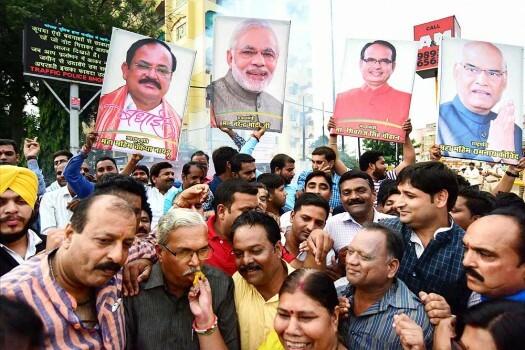 BJP workers celebrate the victory of NDA vice presidential candidate Venkaiah Naidu's election, in Bhopal. 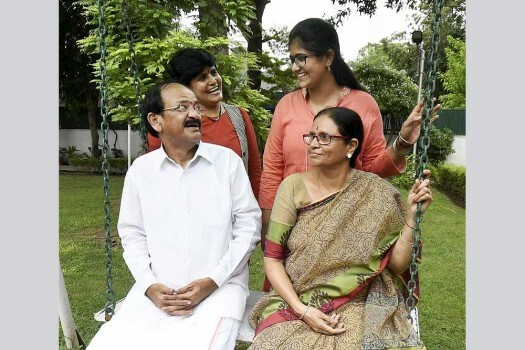 Venkaiah Naidu being greeted and his wife Usha and daughter Deepa Venkat after being elected as the Vice President of India, in New Delhi. 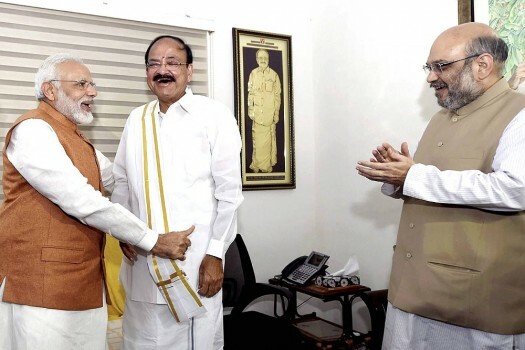 Prime Minister Narendra Modi and BJP president Amit Shah greet Vice President elect Venkaiah Naidu at his residence in New Delhi. 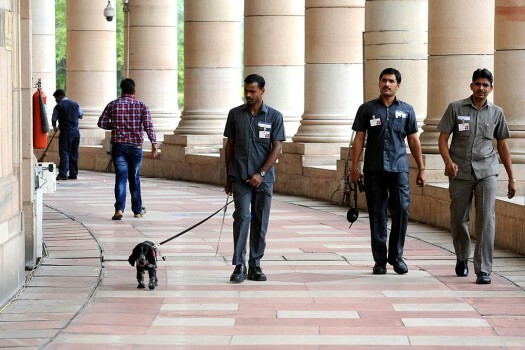 Security personnel with a sniffer dog at the parliament house, in New Delhi. 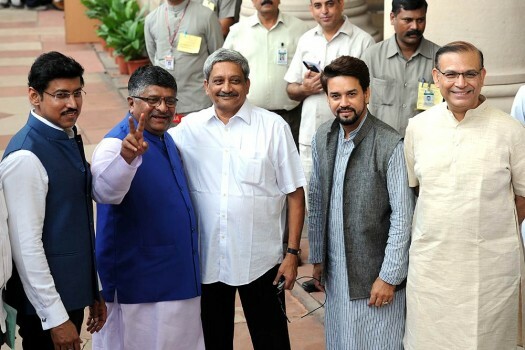 Union Ministers Rajyavardhan Singh Rathore, Ravi Shankar Prasad, Goa CM Manohar Parrikar, MP Anurag Thakur and Jayant Sinha pose for a photo at parliament house, in New Delhi. 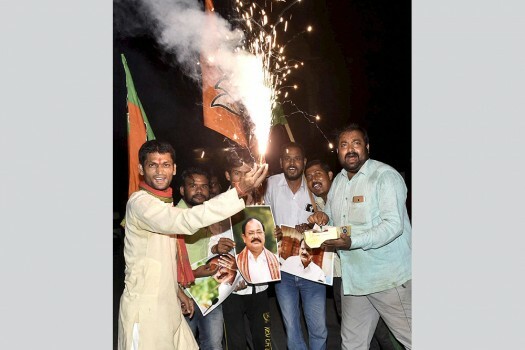 Congress leader Chiranjeevi at parliament to cast his vote for the election of Vice President, in New Delhi. 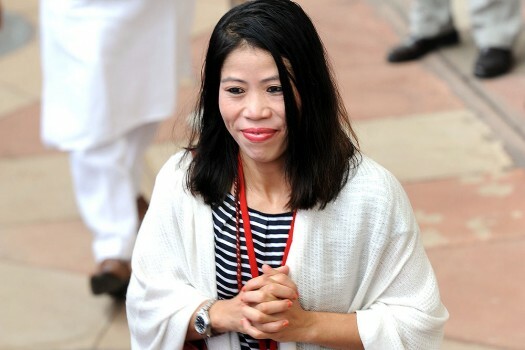 Boxer and Rajya Sabha Member MC Mary Kom at parliament to cast her vote for the election of Vice President, in New Delhi. 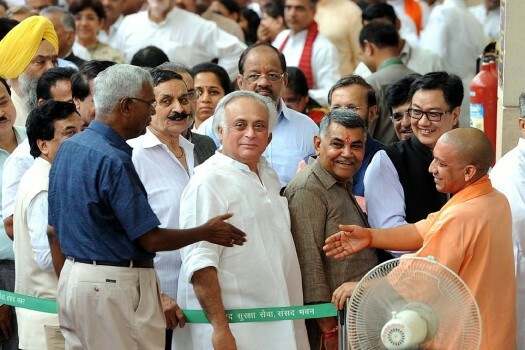 Bollywood actor and Rajya Sabha MP Rekha at parliament to cast her vote for the election of Vice President, in New Delhi. 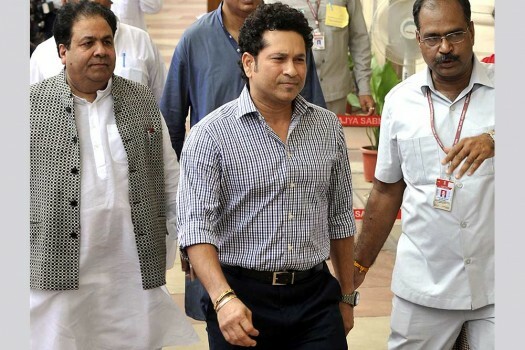 Rajya Sabha MP, Sachin Tendulkar at parliament to cast his vote for the election of Vice President, in New Delhi. 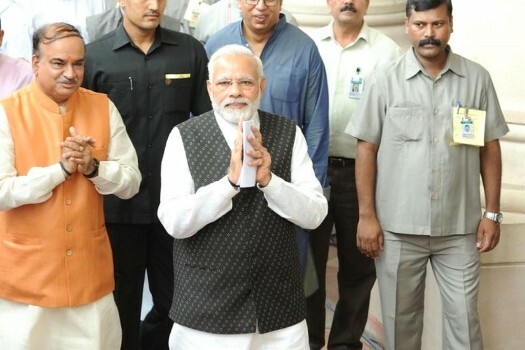 Prime minister Narendra modi at parliament to cast his vote for the election of Vice President at Parliament House in New Delhi. 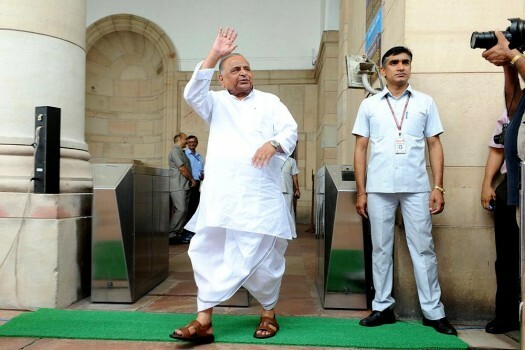 Samajwadi Party leader Mulayam Singh Yadav comes out after casting his vote for the Vice President election at Parliament, in New Delhi. 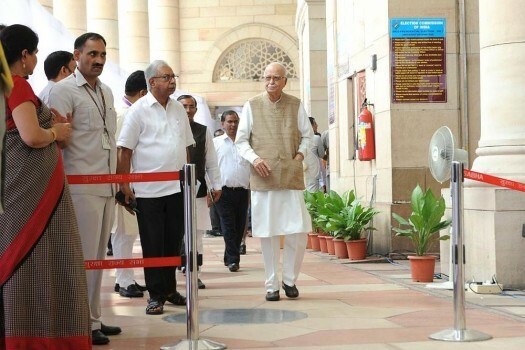 Senior BJP leader L K Advani at parliament to cast his vote for the election of Vice President at Parliament House in New Delhi. 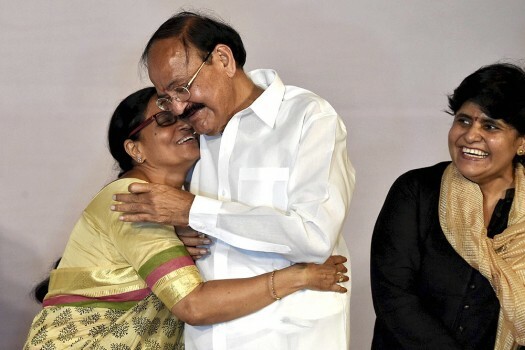 Naidu,68, had defeated former West Bengal Governor and Mahatma Gandhi's grandson Gopalkrishna Gandhi. 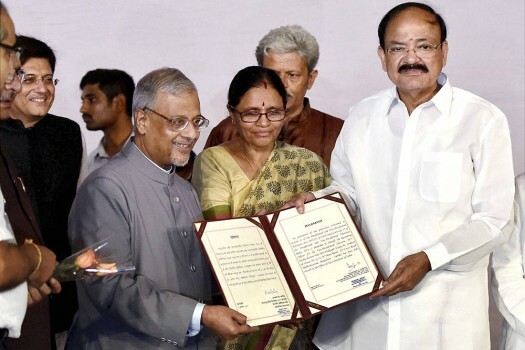 Modi's comments come a day after the outgoing vice-president said Muslims were feeling insecure.